Communication takes place between two parties or groups of parties. One party sends the message and the other party receives it. 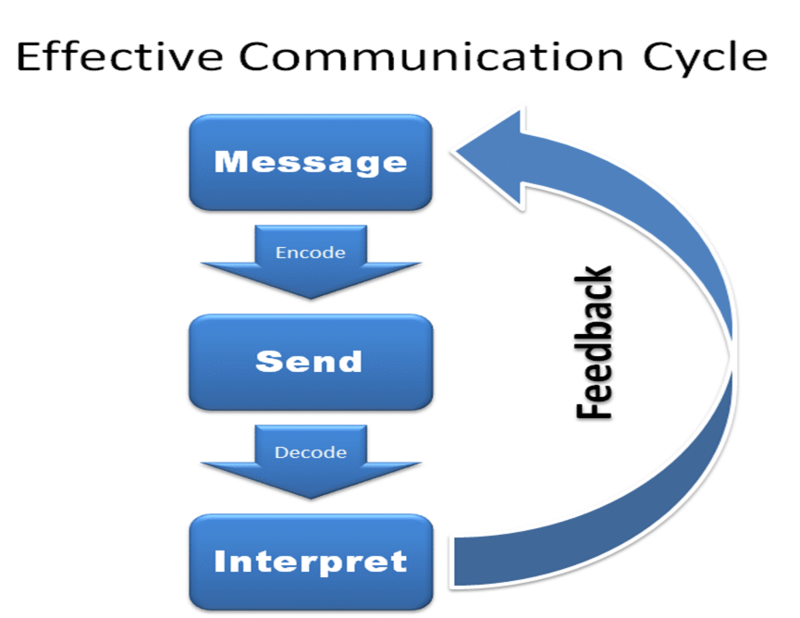 If the receiver receives the message in a way the sender sends, it is called effective communication. Thus, we can conclude that communication becomes effective when the facts, ideas, views of information of the sender are transmitted into the receiver’s mind in an unchanged way. Effective communication provides a bridge of meaning between people so that they can share what they fell and know. By using this bridge both parties can safely cross the river of misunderstanding that sometimes separates people. Efficiency of managers and workers at all levels of organization mostly depend on effective communication system. Performing management function efficiently and coordinating these functions with one another require communication. Thus, communication is regarded as an integral element in achieving organizational success. Communication is pervasive in all managerial function. In performing managerial functions like planning, organizing, directing, motivating, coordinating and controlling, managers must engage in internal and external communication. In true sense, communication is the vital part of a manager’s job. What a manager wants to be done, how to be done, when to be done, by whom to be done etc. must be communicated to employees. In absence of communication, managers cannot establish relationships with subordinates, cannot motivate them, effectively. Thus, effective communication greatly determines the effectiveness and efficiency of managers. Success of an organization depends of timely performance of us activities. Communication helps the managers in determining appropriate course of actions, conveying their orders and instructions to the subordinates, getting response from the subordinates and maintaining contact with the parties outside the organization. Thus, we can conclude that with the help of communication managers can perform their duties effectively and efficiently. Filed Under: Introduction Tagged With: How can communication increase the efficiency of Management?, Meaning of effective communication, What is effective communication?